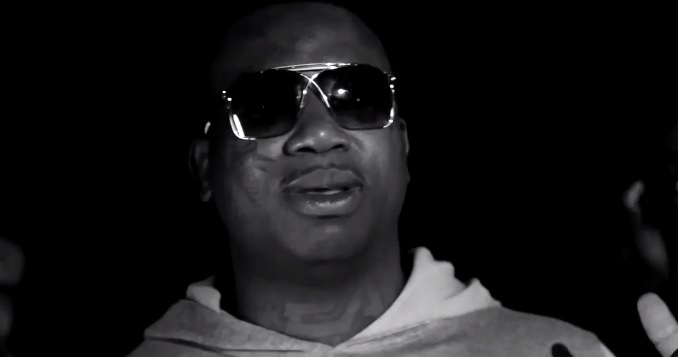 Gucci Mane is back with a new black and white gritty music video for his latest single, “Can’t Handle Me,” featuring Young Scooter and Young Dolph. The track is featured on the Atlanta native’s new LP, The State Vs. Radric Davis 2: The Caged Bird Sings. Never one to stray too far from the streets, the troubled rapper plays it cool and dismisses the competition while boasting about his moves out on the block. Dolph and Scooter follow suit and also dedicate their verse to the streets. This entry was posted in Music, Video and tagged Can't handle me, Gucci, gucci mane, hip hop, Music Video, rap, the caged bird sings, the state vs radric davis 2, young dolph, Young Scooter. Bookmark the permalink.